Ikenna Uwadileke(NAN): The allegation by Abdulmumin Jibrin, the former chairman of appropriation committee, that leadership of the House of Representatives rigged the 2016 budget will be probed. The House passed the resolution to conduct the investigation today. This followed a point of order brought under Matters of Privilege by the Chairman, House Committee on Rules and Business, Rep. Emmanuel Oker-Jev. Abdulmumin Jibrin (APC-Kano), accused the Speaker of the house, Mr Yakubu Dogara and some principal officers of padding the 2016 budget. 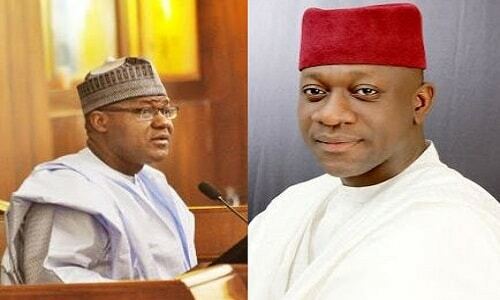 Jibrin also demanded that Dogara should resign to allow investigations to be conducted into the matter. Moving the point of order, Oker-Jev called for the suspension of Jibrin, describing his allegations as “sundry act of misconduct’’ against the members and institution of the House of Representatives. According to him, Jibrin embarked on campaign of calumny and denigration by making publications in the media and internet against the entire membership of the House of Representatives and the National Assembly as an institution. “Jibrin’s comments were contemptuous of the House of Representatives and a breach of collective privileges of the members of the house,’’ he said. However, efforts to oppose the point of order by Rep. Ali Madaki (APC-Kano) failed. Madaki said that it would be an honourable thing for the accused persons to resign in order to allow for proper investigation into the matter. Reacting, Dogara said that since all the members of the house were accused, Madaki should be the first to resign. The matter was referred to the Committee on Ethics and Privileges for proper investigation into the allegation of padding and to report back in one week.